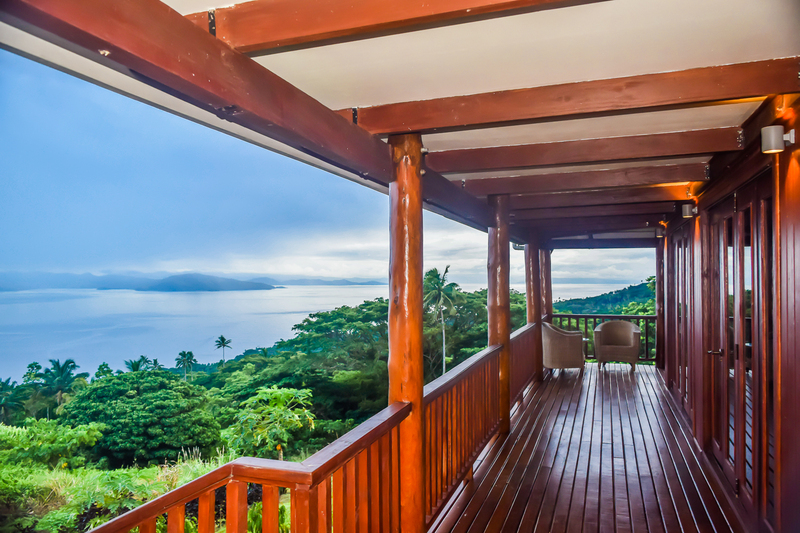 Today as we continue our profile on unique real estate in Fiji, we head to Taveuni up in Fiji’s north to show you how you can own a slice of paradise there. By owning a slice of northern Fiji, you’ll gain access to some of the most exotic, breathtaking views of the ocean and of the tropical rainforests. Taveuni Estates offers the potential homeowner both Land for Sale and Homes for Sale. The land ranges in elevation from oceanfront to mountaintop and the real estate development has been designed to maximize privacy and ocean views from each home site. Each lot can be accessed by tar-sealed roads and serviced with piped mountain spring water. Available lots are based on location and aspect. The most valuable properties face northwest and look out onto the sea and surrounding islands. These properties are cooler in the summer due to the view angle at the front of the house and the islands latitude. And the south facing views are more exposed to the afternoon sun and overlook the ocean. There are also properties with features next to a reserve or stream. There are several places to shop within a 15-minute drive of Taveuni Estates. The main shopping center is Naqara. There is also a local market offering fruits, veggies, and a small fish market. There’s a great selection of Indian spices available and many locals willing and ready to assist in teaching you their favorite Indian meals! There’s also a butcher nearby so you can snag the perfect fillet of steak just by placing your order in advance. If you can’t find something on Taveuni, it can easily be ordered into Suva. There is a ferry service from Suva that shop owners can also ship out goods needed to the outer islands like Taveuni. They are very accustomed to doing this so there’s always a way to get the items you need. Be sure to remember that although the modern conveniences and food are easy to come by, it’s also very easy to live off the land because so much grows well in Fiji! There will be no shortage of things to do in Taveuni or if relaxing is your thing, that won’t be difficult either! The island’s position in the Somosomo straits makes it one of the world’s great destinations for diving, fishing, and sailing enthusiasts. You can take a daytrip to visit more remote parts of Taveuni’s coastline as well as neighboring islands and beautiful water falls. Plus, there’s every water sport you can imagine. Taveuni Estates Clubhouse is open every day for those that want to have a social life close to home! The Clubhouse is located on an ocean front golf course with tennis courts and a swimming pool. Taveuni Estates also has a boutique hotel complex with an excellent restaurant, bar, and swimming pool all of which residents use on a daily basis. Ah, a place of your own to relax in the heart of the South Pacific. Feel free to call us at Fiji Vacations to discuss real estate or your next vacation in more depth!